The "city of lakes" is perhaps the most romantic and beautiful cities of India. In contrast to its neighborhood it stands out with an enchanting image of white marble palaces, placid blue lakes, gardens and temples surrounded by hills and mountains. It was founded by Maharana Udai Singh in 1559 A.D.on the shores of lake Pichola. Visakhapatnam in Andhra Pradesh is located on the eastern shore of India, nestled among the hills of the Eastern Ghats and facing the Bay of Bengal to the east. Vishakhapatnam was a part of the Vijayanagar Empire.Initialy Vishakhapatnam belonged to the Kalinga Kingdom and was ruled by Ashoka in 260 B.C. followed by the Andhra Kings of Vengi.Later it was under the reign of the Pallava, Chola and Ganga dynasties. 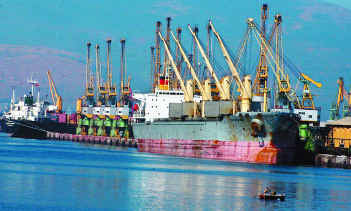 Soon Visakhapatnam became a major port and a trading center for the Europeans, the Dutch, the French and the English. Around the 17th century Vizag became a major exporter of textiles, ivory, tobacco; indigo etc.Visakhapatnam played a major role as a coast during the reign of the Asaf Jahis and the Golcondas.History documents that Visakhapatnam got its name from the god of 'Valor-Vishakha'. This festival falls in the month of March and is celebrated in Sri Varaha Lakshminarasimha temple. 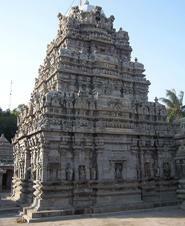 During this festival the deity of this temple is fully covered with fresh layer of sandalwood. This is a major utsav which is organized by the Andhra Pradesh Tourism Development in the month of January. 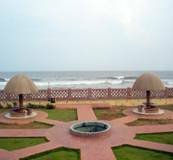 The festival highlights the arts, crafts and cuisine of Vishakhapatnam.Various cultural programmes like exhibitions, fashion shows, food fairs are conducted in the Rama Krishna beach. One of the most exquisitely sculpted shrines of Andhra Pradesh and is located at a distance of about 16kms from Vizag among thickly wooded hills. The beautifully carved 16-pillared natya mantapa and the 96 pillared kalyana mandapa bear testimony to the architectural briliance of the temple. A thick layer of sandalwood paste covers the image of the presiding deity's Lakshminarasimha Swamy. Among the line of three hills, the central and the highest mount Ross Hill is named after Monsieur Ross. He has built a house on it in 1864 which was later converted into a Roman Catholic Chapel 'Mother Mary's Church'. The pathway to the church is lined with shrines of the stages of the cross. There were excellent views of the ship building yard from here. Though this is a Hindu temple archeology excavations says that it was built by a European Captain Blackmoor in 1866.The main feature of this temple is the steep pyramidal gopura.It is built in such a way there is a clear view of the inner harbour from this temple. Darga Konda, the north hillock of the line of three hills has a mosque and the mausoleum of the Muslim saint, Baba Ishaq Madina who was revered for his prophecies. It has been visited and venerated by Hindu and Muslim devotees alike. The captivating symbol of Vizag that charms the young and old alike is the headland Dolphin's nose. At 358 metres above sea level, with a lighthouse atop the hill, Dolphin's nose is aptly named. A beautiful beach that falls on the way to Kailasagiri hill, Lawson's bay is an ideal spot or sea bathing and surfing. Appikonda is a small village located 18-kms from Visakhapatnam which houses the Appikonda temple whose presiding deity is Lord Shiva. Records tells that it was in this place Kapila Maha Muni has installed the idol of Somalingeswara Swamy and thus the name - Kapilakonda which was over the ages changed to Apillakonda and further to Appikonda. 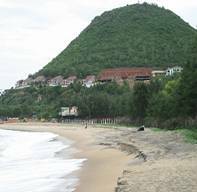 Vishakhapatnam is surrounded by ancient Buddhist sites, most of which have been excavated recently. JIt is Vizag's favourite evening sojourn. 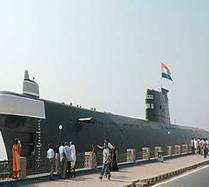 An aquarium, the Kali temple, Visakha museum, a rare submarine museum and roadside restaurants offering seafood are the other attractions. 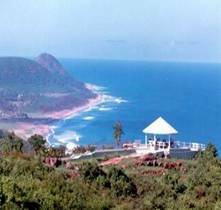 A charming hill on the northern side of the city, Kailasagiri offers a spectacular view of the long shoreline and the cityspace of Vizag. At a distance of about 90-95-km from Vishakhapatnam are the Borra Caves, which attained historical and religious importance. Lepakshi Emporium Eastern, Art Museum and Girijan Co-operative Society - handicrafts. Dabagardens - sports gears, ranging from cricket sets to skates. Kurupam Market - gold and silver jewelry. C/o Daspalla Executive Court, Waltair Main Road, Visakhapatnam - 530 002. Visakhapatnam airport is connected to many cities in India including Mumbai, Delhi, Chennai and Hyderabad. Airport is nearly 16 km away from the heart of the city. Visakhapatnam is the centre point for trains plying between Chennai and Howrah and Howrah and Secunderabad. It is well connected to Hyderabad and other leading towns in the state, as well as to Bhubaneswar. Vizag is well connected by the road transport public bus services. Many tourist bus service providers offer deluxe, super deluxe and A/C bus services from Visakhapatnam to many major cities in South and Central India, including Chennai, Hyderabad, Vijayawada, Bangalore and Mumbai.